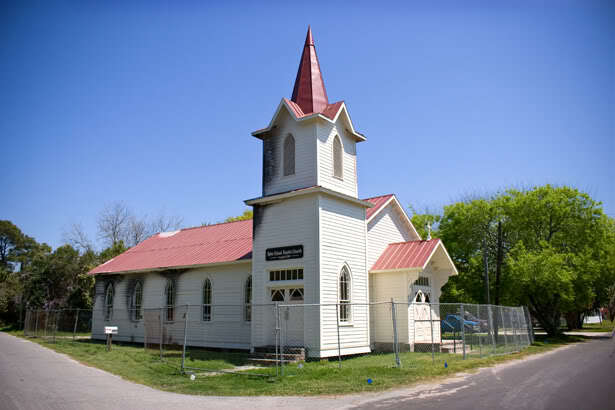 A pastor friend of mine said a congregation should always ask the question, “If our church vanished tomorrow, would the community notice?” His point was that many churches put all their focus on meeting the needs (and whims) of their own people without thinking about the needs of those outside their walls. That isn’t how a church should operate. So you can at least say that people notice when the church in 2010's The Last Song burns down. Everyone in Wrightsville Beach, Georgia seems to gossip about the fire, but they don’t seem particularly upset about it. The film was written by Nicholas Sparks but isn’t exactly based on the novel of the same name. He was contracted for the novel and screenplay at the same time and finished the screenplay first. 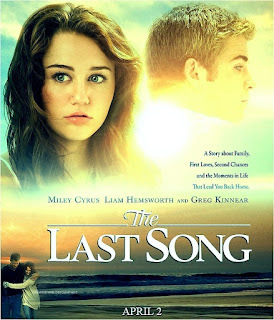 It tells the story of Ronnie (Miley Cyrus), a piano prodigy, who abandons her instrument when her father, Steve Miller (Greg Kinnear), abandons her. When he asks Ronnie and her younger brother, Jonah, to come and live with him for a summer, Ronnie spends as little time as possible with her father. Instead, she spends her time making friends on the beach. Jonah joins his father on a project, building a stained glass window. In time we learn that many suspect Ronnie’s father set the church fire. The film’s opening credits show the fire raging, with firefighters pulling a man -- who we later learn was Ronnie's father, Steve Miller -- from the building. Miller tells his daughter he spent much of his time in that church as a child. When he returned to his hometown, he would go to the church to play the piano. He is suffering from an unnamed but terminal disease, and he takes a variety of drugs that at times incapacitate him. He believes that while in the church, he passed out and knocked over a lamp which started the fire. Everyone in town seems to agree that Miller was responsible for the fire. But after her father is hospitalized, Ronnie hears another story. Ronnie’s boyfriend, Will (Liam Hemsworth), tells her that his best friend, Scott, started the fire but was afraid of getting into trouble. Ronnie urges Scott and Will to confess to her father, and they do, but her father tells them that since he's dying anyway, they don't need to confess to the police or the press. Steve might as well continue to take the blame for the fire. A minister conducts the funeral service, but Ronnie gives the only eulogy we hear from the service. She plays a song her father began to compose and that she completed. After the service, Ronnie has a chance to talk with Will, who she hadn’t seen for weeks, but the minister pulls her away to meet a friend of her father’s. We never see a minister in Steve’s hospital room or caring in any way for these two kids losing their father. But the church does have fine stained glass. In the real world, stained glass windows are the work of trained artists who’ve spent years perfecting their craft -- or, I don't know, a very ill man and his preteen son? We’re giving the burned and rebuilt church of this film, and its nameless ministers, a fairly minimal Two Steeple Rating.